ActionCOACH is Irelands largest business coaching organisation and the world’s number 1 business coaching franchise. The demand for Business Coaching in Ireland is rapidly growing - there has never been a better time to become a Business Coach. About 40% of businesses have no experience of trading in a downturn. With the on-set of recession - Irish business owners are now seeking the professional help of a Business Coach in order to ensure their survival. The Irish ActionCOACH Team is dramatically improving the performances of their Irish clients. What does it take to be an ActionCOACH Business Coach? Our coaches are selected based on their level of business experience/expertise – normally coming from senior/middle management roles. Many of our coaches have advanced degrees. Our coaches are passionate about helping business owners thrive. Our vision is World Abundance through Business Re-education. Are you ready to coach others to success? Do you have at least 5 years business experience and the confidence, passion, and desire to help other business owners? Do you have a proven track record in sales, marketing, management, consulting, or business ownership? Are you contemplating leaving the corporate world to start your own business but would like the benefit of an Irish and worldwide team? Do you have commitment to continual personal and professional development? Do you want more out of life than a traditional career? What is ActionCOACH’s history in Ireland? Paul Fagan - is one of the pioneers of Business Coaching & Franchising in Ireland having established ActionCOACH Business Coaching in 2002 as a very successful Irish Franchising Opportunity. ActionCOACH has a long term goal, that every business in Ireland should have a Business Coach, just as they have an accountant and a solicitor. Remember Bill Gates once had a goal that there would be a computer on every desk in every business and home. 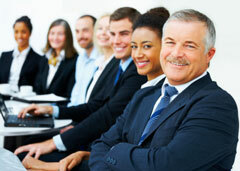 This offers prospective Franchisees a unique Franchising Opportunity to start their Business Coaching Career. Their second goal is to help Irish SMEs grow into larger and more sustainable companies which will support local communities. ActionCOACH Ireland now has 30 franchisees nationwide offering coaching services to hundreds of clients. Please complete the short form below to request more information from ActionCOACH. In the future you will be able to login using your email address and postcode to quickly request information from other companies.